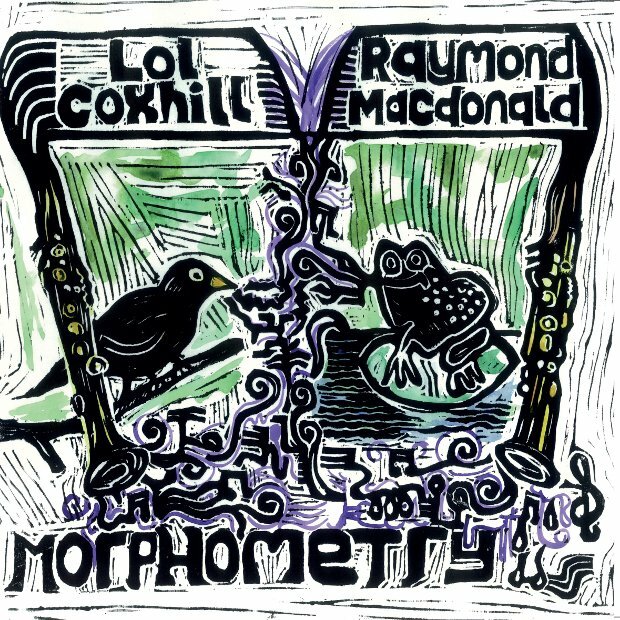 Asked in 2014 what he would like for his birthday, the producer and broadcaster John Cavanagh suggested that a crowd-funder be set up to release an album he had recorded by the saxophonists Lol Coxhill and Raymond MacDonald in July 2008. Now that present is here, resplendent on custard-coloured vinyl, with a delightful front cover woodcut by Ian Barrett. Coxhill, who died in 2012, was a regular visitor to Scotland, and struck up a warm relationship in his later years with Cavanagh, MacDonald and Glasgow Improvisers Orchestra. That quality comes through in these duets, recorded over an evening with a single malt to hand. Coxhill is on typically inquisitive and generous form, offering finely spun threads of soprano sax for MacDonald to elaborate on with his alto. Together they conjure a gently surreal world of chirruping blackbirds, Bashovian frogs, and skylarks improvising freely on Rodgers & Hart.